It is really difficult for us to find an effective player to resolve all our VOB videos. But now, everything will be achieved. Just following the below three solutions: First, you can try to download proper codec like K-Lite; while, some guys complained that it’s hard to find a proper codec and install a codec correctly. If you have tried K-Lite and you still cannot play then you have done something wrong. Another solution, the fast and effective one in my view is, to convert VOB to Windows Media Player preferred format like WMV. 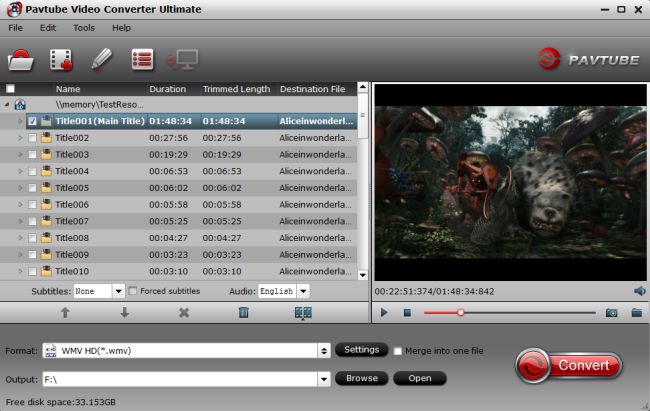 Pavtube Video Converter Ultimate – It is an all-in-one video converter, editor, player tool that lets you effortlessly encode MPG, WMV, MOV, FLV, TiVo, VOB, AVI, MKV to Windows Media Player playable WMV format. Plus, this video converter includes optimized presets for popular devices like Galaxy S6, Galaxy Tab 4, iPhone 6 Plus, iPad Air 2, Kindle Fire HDX, Google Nexus 7/10, etc. with perfect audio and video synchronization. If you are a Mac user, you can turn to Pavtube iMedia Converter for Mac (Yosemite included) to convert VOB to Windows Media Player on Mac OS X. Read: Why you Choose Pavtube Video Converter Ultimate for Windows Media Player? 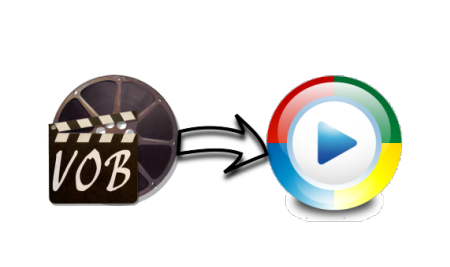 Launch the video converter and click the “add video” button to browse your computer hard disc and load the VOB video files you want to convert to the software. Next, choose a video format that is supported by Windows Media Player as the output format. Of course WMV is the best choice. 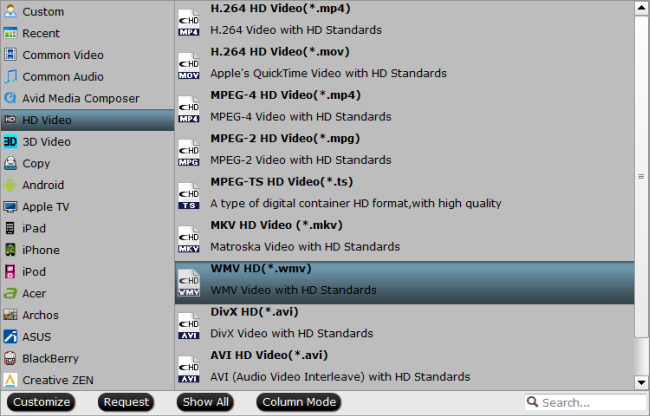 Simply click “Format” > “Common Video” or “”HD Video” and select “WMV” from the format list. Tip: To get a decent output video quality as you want, you can also click “Settings” icon to and enter “Profile Settings” panel to adjust video size, bit rate, frame rate, sample rate and audio channels. When all the settings are OK, go back to the main window and click “Convert” to begin converting VOB to WMV for Windows Media Player. Once conversion is finished, a message of task accomplishment is displayed. Then, you can transfer the converter files to WMP. Now you are ready to enjoy your favorite VOB videos in Windows Media Player with the best quality.